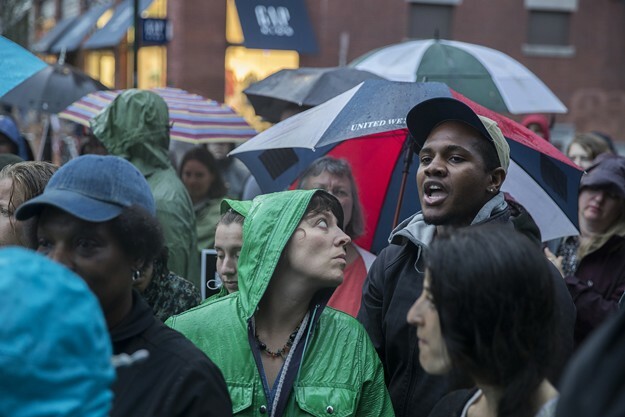 The Champlain Area NAACP organized a protest and prayer vigil for Alton Sterling and Philando Castile in Burlington on Saturday. 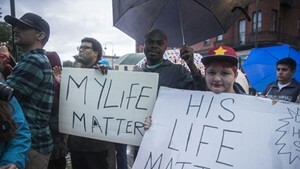 Organizers put on the event to protest the deaths of two black men shot by police last week, one in Baton Rouge, La., and one in Falcon Heights, Minn.
More than 100 people gathered at the top of Church Street for the evening event. Mary Brown-Guillory, president of the Champlain Area NAACP, speaks at Saturday's vigil.